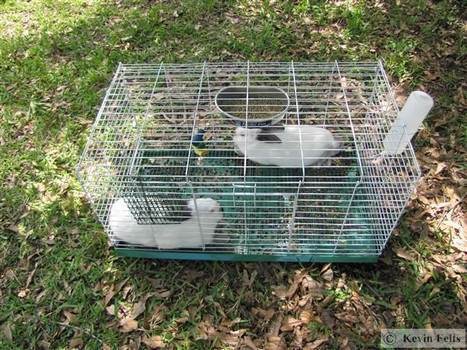 Using free rabbit hutch plans, you can build a home for one rabbit or dozens. These simple structures can be built with wood, welded wire, or a combination of both. Instructions are simple and allow the builder to alter the sizes to fit his needs. 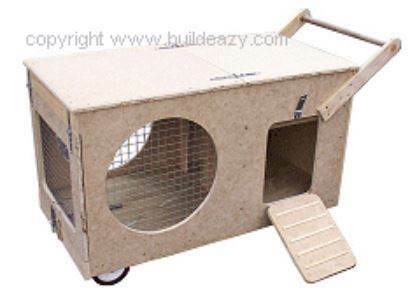 Whether you need a home for one bunny or hutches for dozens, there are free rabbit hutch plans that include tips and how-to guides, as well as building instructions and material lists. Galvanized materials are important to avoid corrosion in these structures. 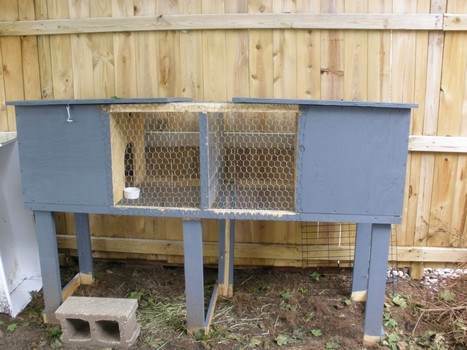 There are plans for indoor hutches as well as outdoor living quarters for your furry friends. Your climate and conditions will be a big factor in the type of housing you need to construct, but all the plans are easy enough for a beginner and are inexpensive to build, using common tools. 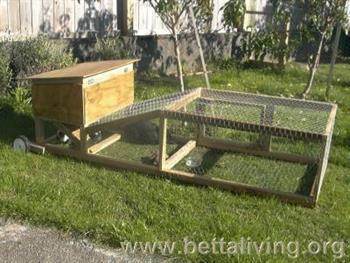 This rabbit hutch is built out of plywood and has two front wheels for ease of moving the hutch. 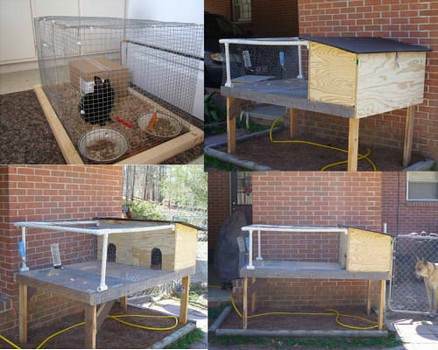 Build a strong and sturdy rabbit hutch using this plan with helpful tips. This plan is for a tall condo with six levels where each level serves a different purpose and the design promotes a cleaner living environment. 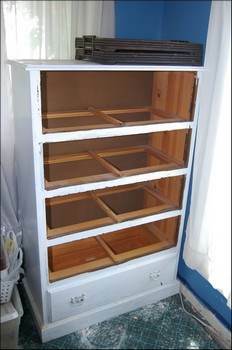 Turn a used dresser into a workable rabbit hutch. 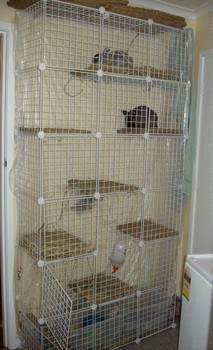 This plan leaves two drawers at the bottom which is perfect for storing rabbit feed and other supplies. Build an attractive tiled condo for your bunny that's designed to blend in with home furnishings with its sleek design. 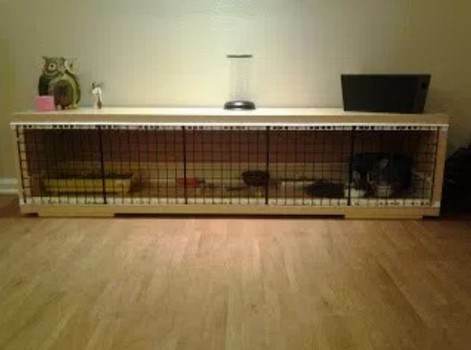 This homemade hutch measures 12 square ft. and gives two rabbits a personal space of 3 ft. x 4 ft.; its build with pressure treated wood and other materials. 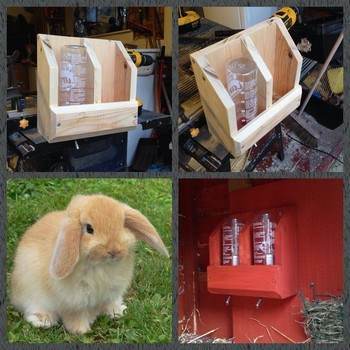 This hydration station for rabbits can be built out of old pallets, scrap wood or new; it is designed to hold two water bottles and become part of a hutch. 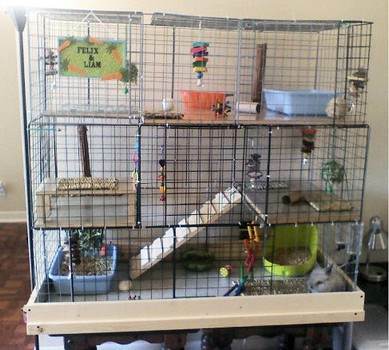 It's easy to build a bunny condo from the ground up; all you need are a few materials such as lumber, hardware and wire fencing plus these detailed instructions. 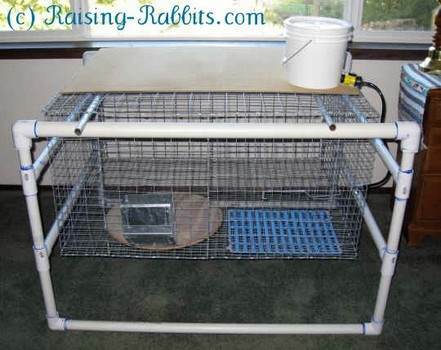 With the aid of industrial stables and furniture tacks you can attach steel mesh to wooden frames to create a workable and roomy rabbit condo. By purchasing pre-cut plywood panels you can start building an inexpensive rabbit hutch for outside or inside the home or garage. 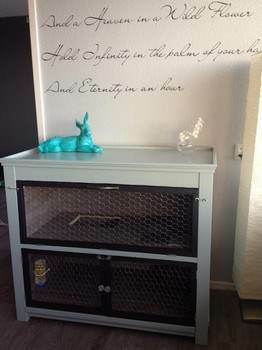 This plan takes a bar table and with a few tweaks and supplies, easily turns it into a home for a bunny. Find all the required instructions here. 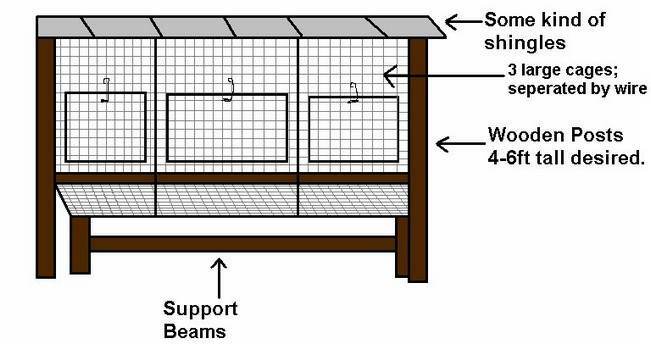 Use this plan to build indoor cage support using PVC pipe where the cage can easily be taken in and out for easy clean-up. 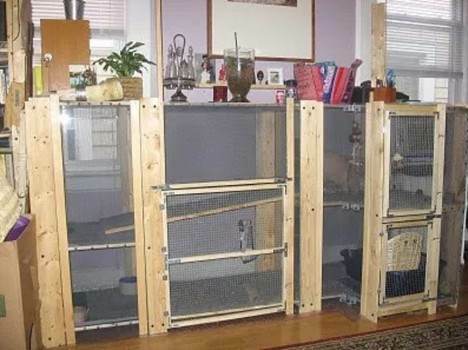 Guinea pig cages are joined together to create a spacious and inexpensive rabbit cage with ramps and flooring. 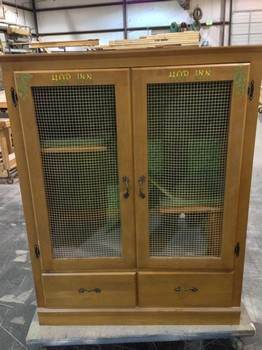 Take a used armoire and add a hay bin, water bottle holder, ramps, wire mesh and a few other details for a great rabbit hutch. Using cull-lumber and 2 x 4's for legs plus these easy to follow instructions you can build an outdoor hutch from the ground up. 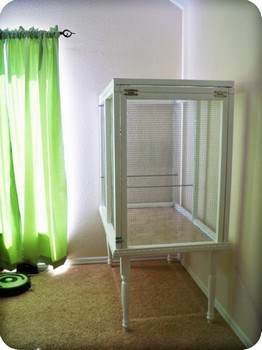 Here is a rabbit hutch with outdoor cage that can easily me moved from place to place to let rabbits feed on fresh grass.